Cold wintery weekends mean I need to have a loaded-up-with-ink printer ready at all times. 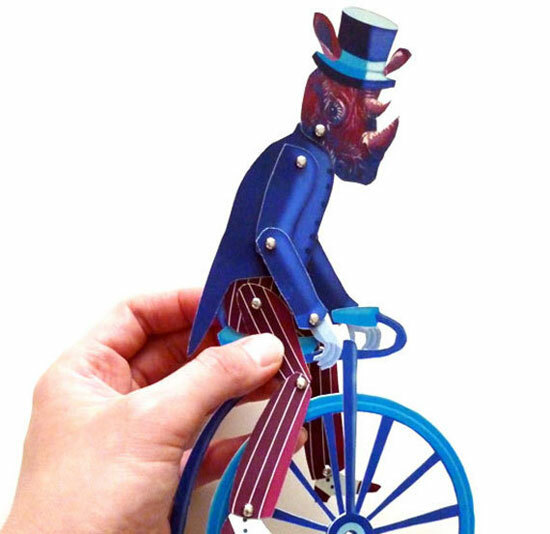 It’s just as well because when my daughter claps her eyes on these beautiful printable paper puppets she’s going to be reaching for that print button and scissors faster than the paper can feed through it. A self-professed illustrator, designer and dreamer who believes in play, Melissa Kojime flexes her artistic muscle to creating these stunning DIY puppets. Choose from Owl and the Pussycat (pictured below), elephants and even bike riding zebras – a whole menagerie of talent awaits construction. 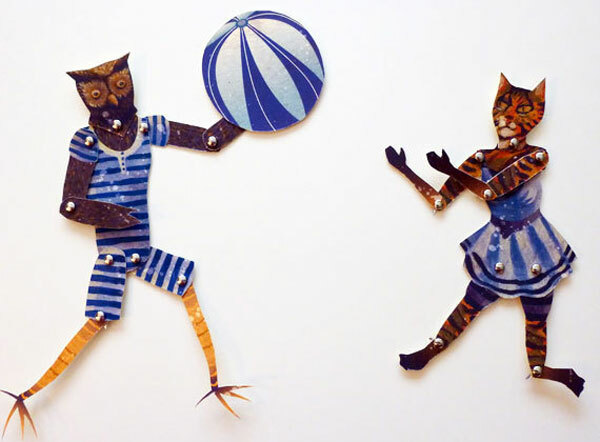 Artist in LA LA Land make their DIY Paper Puppet Dolls available to everyone via instant download. The whole process is easy, just choose your puppet, pay for it and the printable file is emailed to you. Extras you require at home are merely a printer, card stock, scissors and split pins that you can get at any newsagent or craft store. Throw in a cardboard box to create a theatre and a dramatic puppet performance will ensue we’re sure – perfect for whiling away the hours on a wet day! Younger children might benefit from a chopstick being taped to the back of their puppet for stability with not-so-gentle hands. 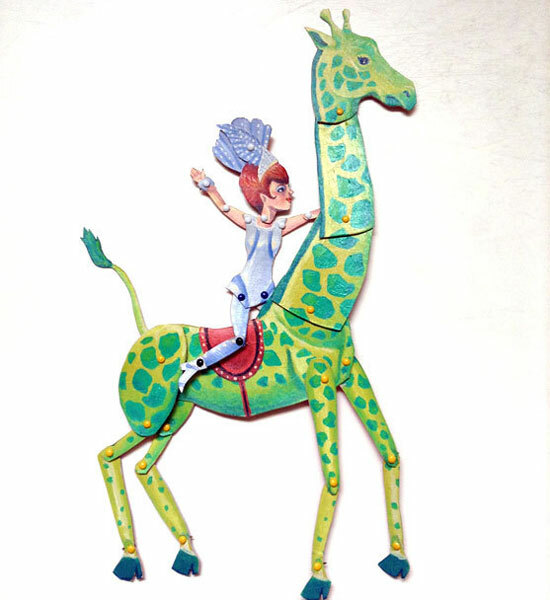 See the whole Printable Paper Puppet collection at Artist in LA LA Land on Etsy, prices start at US$3.50.